Nationwide's Trailer Country has been serving the Little Rock and Cabot Arkansas area for over 20 years providing quality trailers and expert service. Located in Cabot, Arkansas off Hwy 67/167. We are a family-owned business that puts personal service and customer satisfaction as our number one goal. We aim for 100% customer satisfaction. If anything goes wrong, we'll make it right. We have a staff of experienced people that understand the product and will make sure each customer gets the right trailer with the right features to do the job. 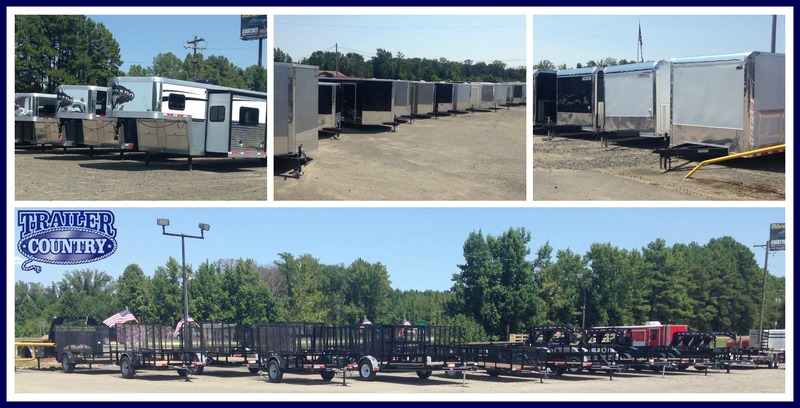 We take time to find out how your trailer will be used, what it will be carrying, and any other factors to determine the right trailer for each customer. Our Horse and Livestock Trailer Sales Staff are experienced horse owners themselves so they understand their cutomers needs. Our Equipment Trailer line includes PJ Trailers, one of the most respected brands in the industry with a reputation for quality utility, dump, flatbed, and tilt trailers. We are proud to represent Spartan Enclosed Cargo Trailers. This is a quality brand of cargo trailers and concession food vending trailers.